As a nation, we get through a hideous amount of plastic every single day, and it's really bad for the environment. A lot of plastics don't decompose properly, so they just sit and clog up land as waste. Those that do decompose can take up to a millennium to break down. It's not just the space that plastics take up that's the problem; they can release chemicals into our soil and waterways, making them a pollutant that threatens the health of wildlife, natural ecosystems and humans. Take action on your plastic use with these eco-friendly alternatives to single-use plastics. Every little bit you do genuinely helps. We only have one planet Earth, so we need to look after it. A staggering 16 million plastic bottles are thrown away each day in the UK, but there's no need for it. This tough, chip-resistant stainless steel reusable bottle is built to last a lifetime. It's made from the safest and most environmentally friendly products available to limit its effect on people and the planet. The leak-proof and insulated wide bottle can hold around 0.5l of hot or cold liquid. Coffee or tea will stay hot for 10 hours in it, while iced drinks stay chilled for 30 hours. So many big name tea brands use teabags that contain small bits of plastic. Instead of buying more, switch to a nice loose tea from somewhere like Bluebird Tea or T2 Tea . You don't even need a teapot to enjoy a brew. Simply fill the Teastick with the loose leaf tea and hook it inside your favourite mug. Add hot water, leave it for five minutes and boom: you have a lovely cup of tea with little hassle and zero plastic! It's incredible that you can use recycled plastic to make decent, functional clothes. These leggings are made from a moisture-wicking recycled polyester, making them ideal for workouts and runs. The wide waistband and gusseted crotch keep them from falling down, so they're good for yoga too. Did you know that the average plastic toothbrush can take over 1000 years to decompose? Ridiculous! Sign up to this bamboo toothbrush subscription service and you'll be able to brush your teeth with a much cleaner conscience. Once you've finished with each brush, pluck out and bin the bristles and pop the bamboo to your compost heap. When separated, both parts are fully biodegradable. Forget shampoo bottles; it's time for shampoo cubes. 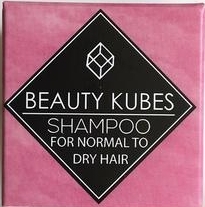 Each box of these Beauty Kubes comprises contains 27 shampoo 'Kubes'. there's no plastic to faff with – just wet your hair, crumble up a kube in your hand with some water, mix into a lather and massage it through your hair. It's handmade in Cornwall and is super lightweight and portable, so it has a significantly smaller carbon footprint than bottles of big brand shampoo. Plus, you can take it in your carry-on bag on flights as it's not liquid.